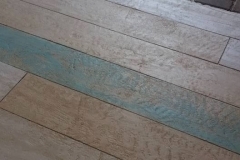 Unicorn Epoxy – The unicorn of floors. FAQs- What you need to know. "Friends don't let Friends get Tile!" Flooring that lasts, that’s what you’re after. The same materials that are rigorously tested for driveways and pool decks, factories and restaurants are now in our highly trained Artisans’ hands- ensuring that your project will exceed your expectations. 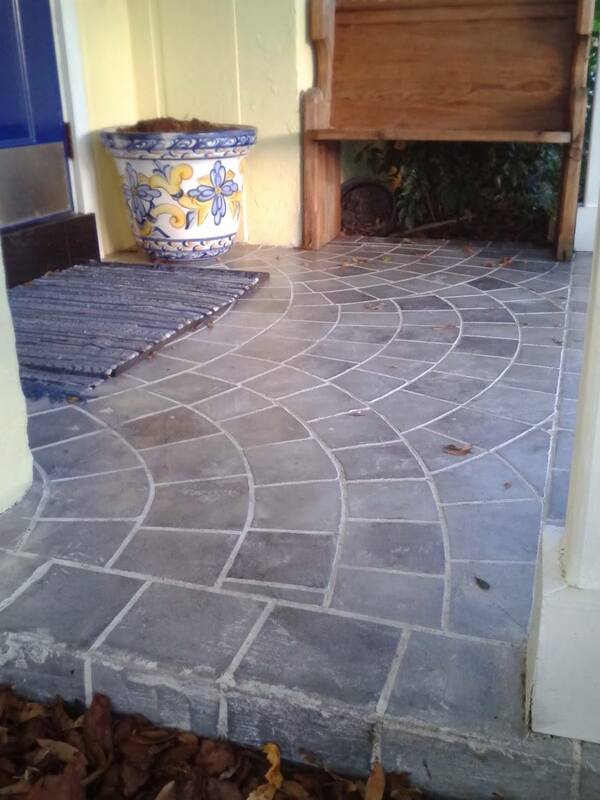 Unlike carpeting, a decorative concrete floor can’t be installed in just a few hours or a day. But the payoff is well worth the extra time and effort involved. Once the project is finished, your concrete floor will look beautiful for decades without the need for replacement. 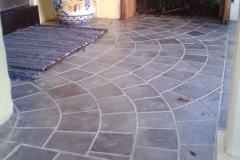 Unlike carpeting, a decorative concrete floor can’t be installed in just a few hours or a day; and the payoff is well worth the extra time and effort involved. Once the project is finished, your concrete floor will look beautiful for decades without the need for replacement, will be easily repaired in the event of damage, and will increase the property value of your home. 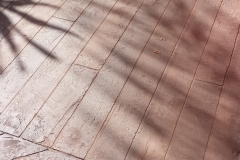 The timeline and steps involved to install a decorative concrete floor can vary greatly from job to job. On a small project, such as a bathroom, the timeline can range anywhere from two to five days. 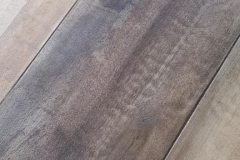 The more complex decorative concrete floor projects involving multiple stain or dye colors, an overlay, decorative sawcuts and custom graphics will take much longer to complete than a simple project calling for just one coat of stain and a sealer. • The size of the project. • The level of complexity. • The condition of the existing floor. • The need for concrete repair or removal of an existing floor covering. • The need to protect surrounding surfaces, such as walls and baseboards. • The length of the dry times required between each step, such as after each stain coat and sealer coat. The condition of the existing concrete substrate also has a big impact on the time required for project completion. 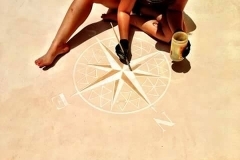 If you have a concrete slab that’s all ready for staining, polishing or application of a decorative coating or overlay, the project should go relatively quickly. If the floor is in need of extensive surface preparation or repair, or needs demolition of existing flooring, be prepared to add at least another day or two to the schedule. In a new home or building with newly placed concrete floors, the concrete will need to cure completely before a decorative treatment can be applied (generally after seven days or longer). It is imperative that there should be absolutely nothing resting on the new concrete as it is curing. It’s also best to wait until after all drywall is installed, taped and sanded before applying a decorative treatment, to avoid potential damage from other trades. We go above and beyond on every project. You will love us as much as we love you! 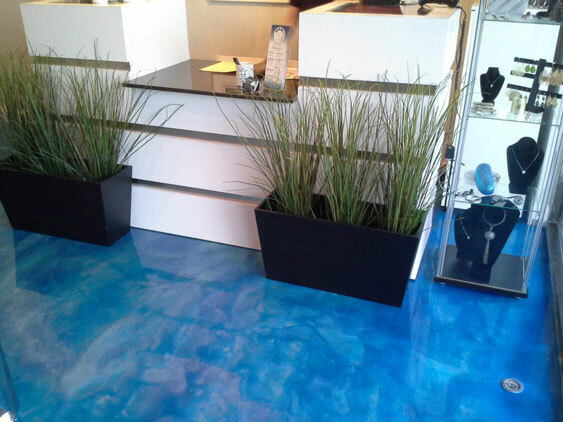 “Your work embraces an artistic approach with using epoxy coatings to create custom designs. The use of creating realistic pieces without the use of decals or traditional stickers is unique by itself. -Anthony Wolanin, Epoxy Coating Specialist at Norkan, Inc. Thank you for such a great job on my epoxy garage floor repair! The colors fit perfectly with our house, and your work was prompt, efficient and professional! I was especially pleased that there was so little cleanup afterwards, too! Great work! Innovative and highly artistic. I had a messed up tiled bathroom floor with cracked tiles and filthy grout joints. The tile was no longer available to replace the broken tiles. Crystal came to the rescue and turned a mess into something that everyone that came to my house and saw it talked about forever. Easy to clean! No more grout!! Don’t hesitate on doing this for your remodel or new home. I’m so glad I decided to go with Unicorn Epoxy! 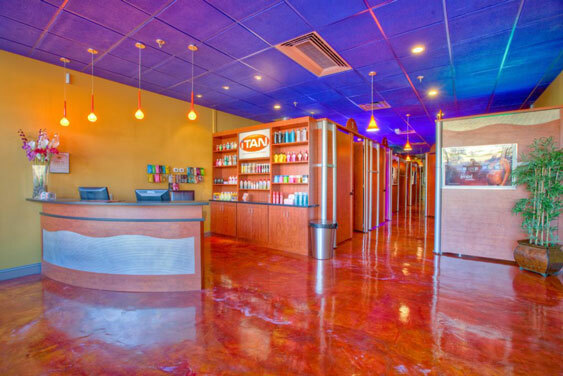 The crew was very professional and was able to use my preferences to design a beautiful, artistic floor. The materials are durable and easy to clean, and even my puppy likes lying down on it to cool down. I couldn’t be more happy with my experience and haven’t stopped showing my friends this incredible floor! ou want amazing results, you need amazing people. I have known Crystal as an artist and visionary leader and business peer for a while, and she is unparalleled in her craft. The average home that my work goes into, is around the $10 million dollar mark, and her residential work greatly exceeds what I see in these high end homes. Truly a one of a kind talent, passing it on to other gifted craftsmen. Why even call anyone else, when you can get the best at a great value? The artistic talent here is completely off the charts! Never seen a Unicorn Epoxy floor I didn’t like. No floor is ever the same? 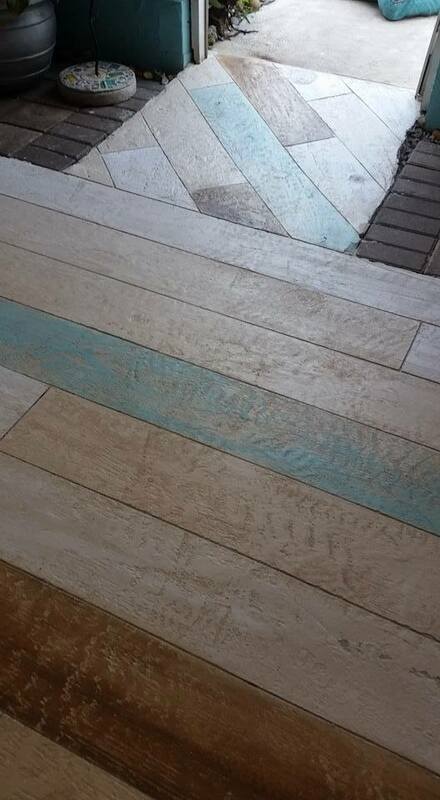 Unicorn epoxy has some of the best talent when it comes to creating a floor like no other. I have a floor done for me over tile that amazed me and everyone who saw it. You won’t be disappointed. Every floor I’ve seen has really blown me away. Top notch talent here, every time. I recommend Unicorn every time. I want you to be known because holy hell your work is MAGIC! 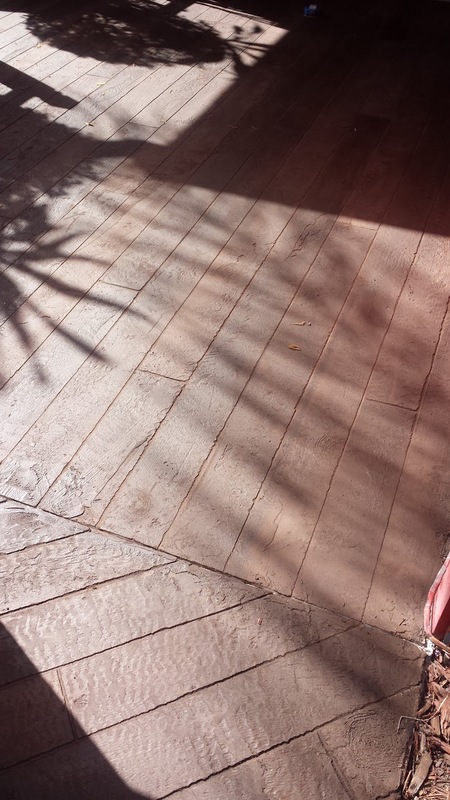 I love the beach sand look that Crystal from Unicorn Epoxy did for our front door area! She even added sharks teeth that the kids had from the beach into the flooring. The beach sand look was exactly what we were going for. I highly recommend Unicorn Epoxy! I am so happy with the rocks you painted that surround our pool. They had lost their coloring over time probably due to sun exposure. They look brand new now. Thanks so much! Crystal does amazing work ! 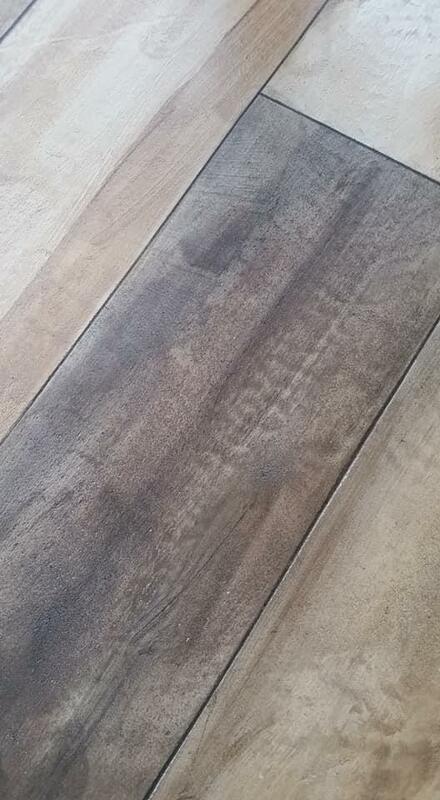 My floors are beyond what I had imagine ! We will be calling Crystal again for the rest of the floors in our house ! One of a kind design !!! 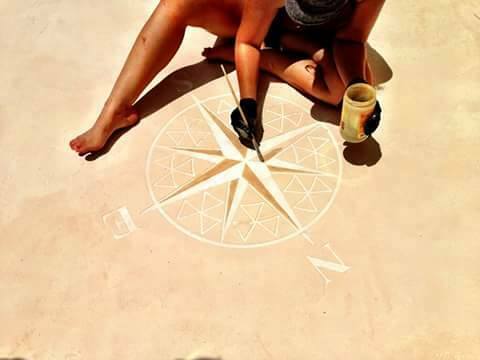 Jodie Rowe, Private Homeowner- Proud owner of a Wood Look Concrete floor with custom compass rose. Drop us a line, submit a testimonial, set up a free design consultation and quote. Proudly serving the Treasure and Space Coasts!